Ease of use for your customers using their smartphone, tablet, or computer. 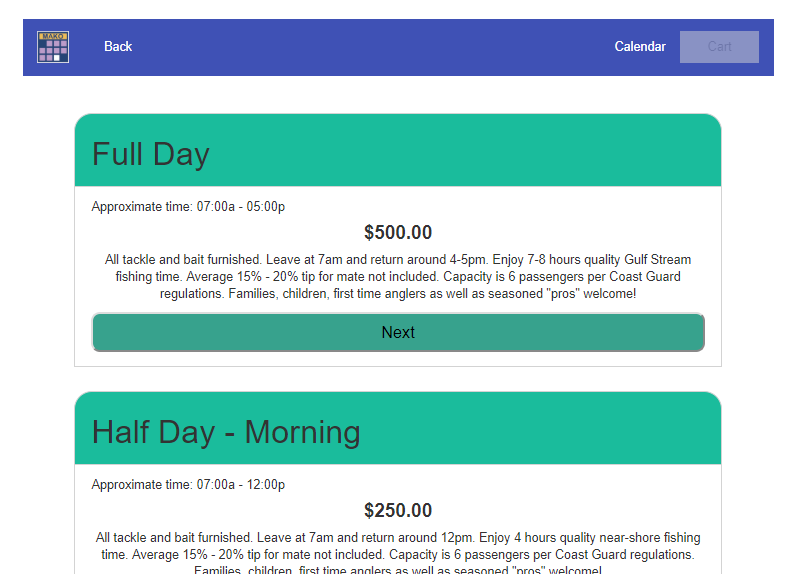 Quickly let customers and marinas see what is available. 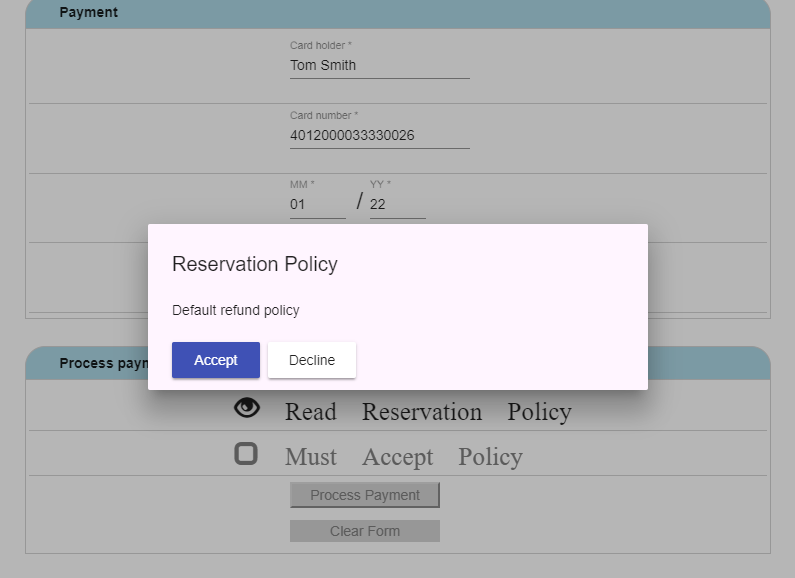 Configurable to select available reservation type. 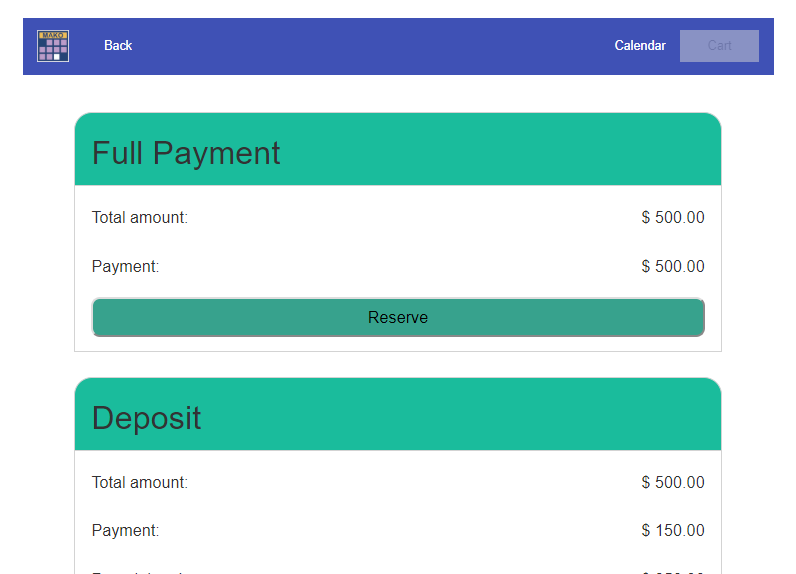 Ability to choose a configured payment payment option; deposit or full amount. 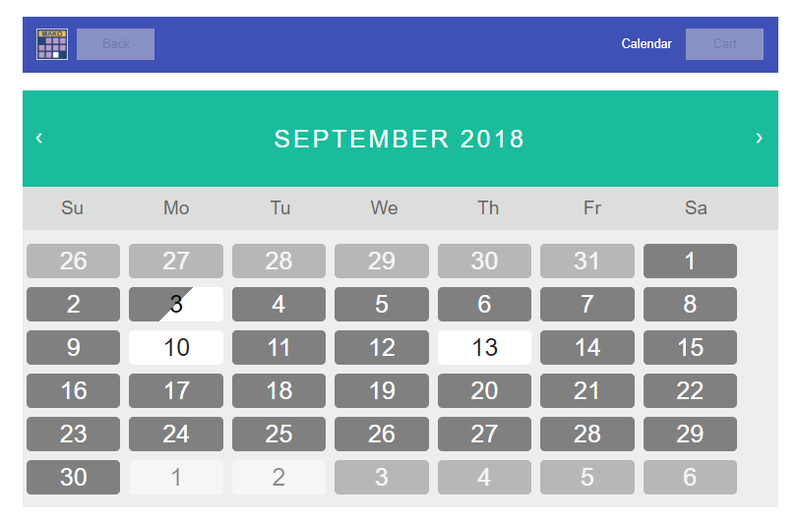 All pending reservations will be shown in the cart prior to checkout. 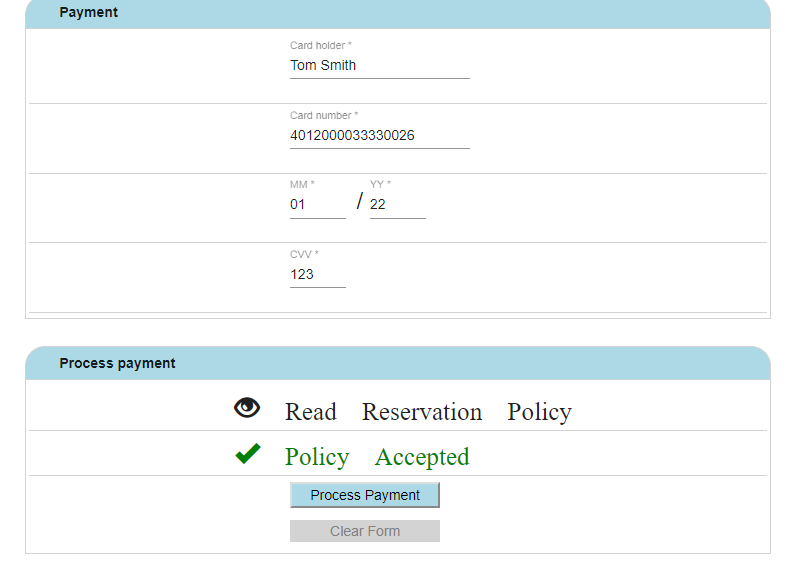 User will be required to review and accept reservation policy prior to processing the credit card. 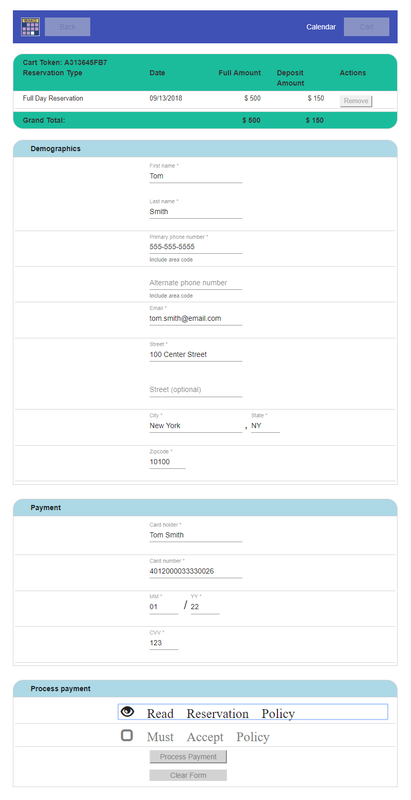 Receipt will be shown to the user with a detailed copy being emailed to the address provided.